We are so glad you’re here! If you’re reading this, you are most likely thinking about homeschooling your kids, are new to homeschooling and are still trying to find your footing, or you might even be versed in homeschooling but are entering some unfamiliar territory or a new season. Wherever you are on your homeschool journey, the HELP! 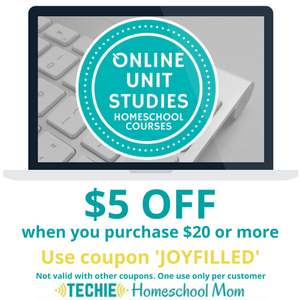 for the Homeschool Mom series most likely has something for you! The HELP! 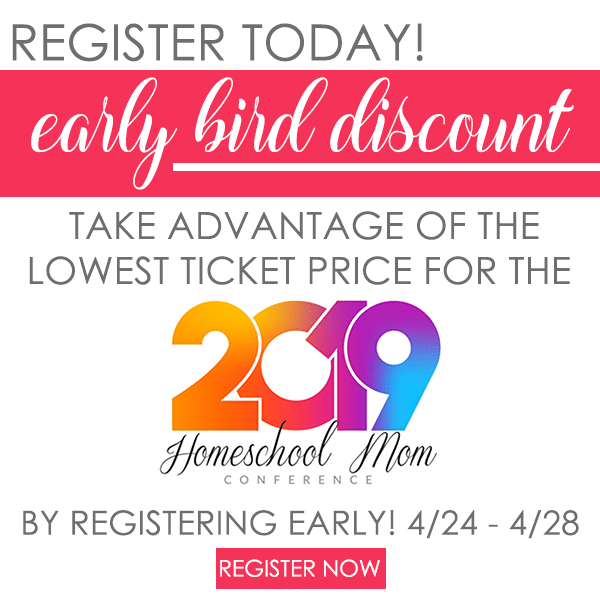 for the Homeschool Mom blog series is an event that will take place all during the month of February 2019 (but Lord willing, will become an annual or semiannual series). 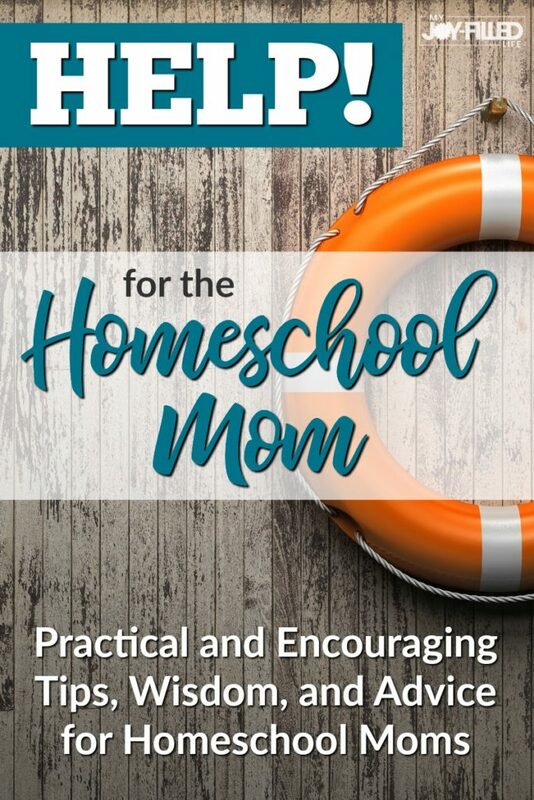 The goal is to provide homeschool moms with practical and encouraging tips, wisdom, and advice to equip, bless, and refresh you to live your best homeschool life. We aren’t meant to go through this homeschool journey alone. We need fellowship, community, and encouragement along the way. And who better to provide that help but other homeschool moms. 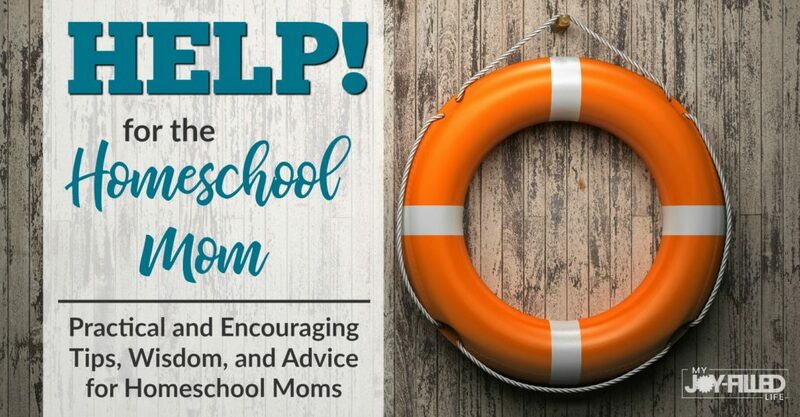 I’m so grateful for the 28 women who are coming along side me for this series – women who have a heart and desire to help, encourage, and lift up their fellow homeschool moms, with the hope that you will thrive in your role as homeschool mom. This will be the main hub for the HELP! 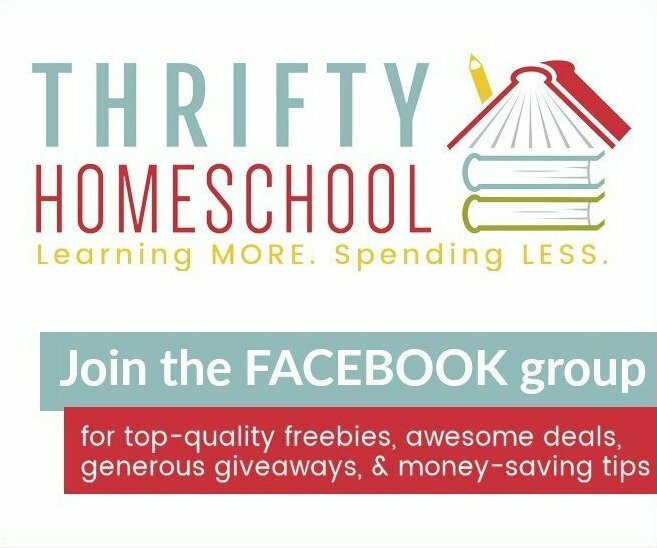 for the Homeschool Mom series (there will also be some sharing and conversation over in the My Joy-Filled Homeschool FB group – a community of over 8,000 homeschoolers – so be sure you are a member; if not, just request to join). Here you will find the links to all of the posts in the series, links to all the awesome giveaways that will be going on during the series, and links to our amazing and generous sponsors. Check out the generous series sponsors (just click their logos or links below). Be sure to enter the giveaways they made possible further down this post! All About Learning Press – They take the struggle out of reading and spelling, offering programs that teach thoroughly, so your child can succeed amazingly. Apologia – Trusted by homeschooling families worldwide, offering science, language arts, history, and more for grades preschool through 12th grade. The Good and the Beautiful – This one-of-a-kind, non-denominational curriculum, much of which is free, was created by best-selling author, songwriter, teacher, and homeschool mom Jenny Phillips, along with a carefully selected team of reading specialists, teachers, grammarians, historians, editors, writers, and homeschool parents. Green Kid Crafts – Helping to raise tomorrow’s leaders, artists, scientists, designers, and engineers – hands-on science and art kits delivered each month for ages 2-10+. Math Mammoth – Offers affordable, yet quality math worktexts and workbooks for elementary and middle school (plus some supplemental materials for high school) – loved by parents, homeschoolers, and teachers. See the Light – Teaching art at home has never been easier with these Christian-based instructional DVDs. See the Light is the perfect art curriculum for the busy homeschool mom. State History by A Helping Hand – Teaching state history, US history, and geography from a Christian perspective for kids age 4 through 12 grade. Teaching Textbooks – This award-winning math curriculum has options for computer-based, online, or textbook instruction for grade 3 through 12. UnLock Math -Bring a remarkable math teacher right into your home with UnLock Math! Experience math without anxiety, frustration or tears. They do ALL the teaching, testing, and grading for you. Courses available at the junior high and high school levels. 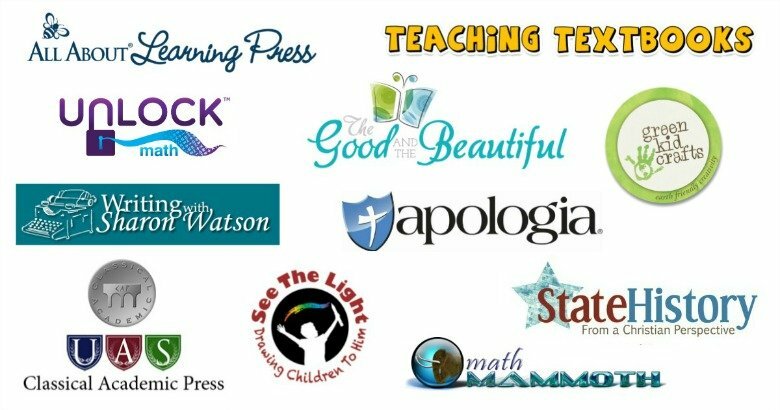 Writing with Sharon Watson – Practical, easy-to-use writing and literature courses for homeschools, Christian schools, and co-ops. Classical Academic Press – A K–12 educational publishing, media, and consulting company for schools and homeschools, creatively teaching classical subjects like latin, logic, grammar, and much more. Be sure to check back here every day in February or subscribe to get weekly updates of all the great posts that will be shared here this month. 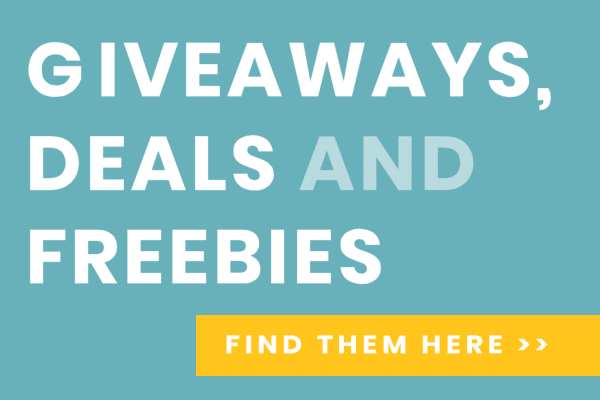 Some will even include limited time freebies and giveaways! Here are some of the fantastic contributors that you can look forward to hearing from in this series (this list will be updated daily with links as each post is published)! We have some amazing giveaways brought to you by the sponsors of the HELP! 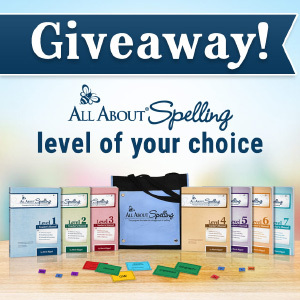 for the Homeschool Mom series – there are over $2000 worth of prizes!! Check them out below; click on the ones you are interested in and you will be taken to a page with the entry form. All giveaways end February 28th at 11:59pm ET. Entering the giveaways signs you up for the My Joy-Filled Life newsletter if you aren’t already subscribed. Winners will be notified by email and will have 48 hours to claim their prize or another winner will be drawn. Sponsors are responsible for delivery prizes directly.